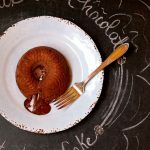 Easy recipe for making a decadent and delicious chocolate molten lava cake. These are the perfect dessert for a romantic dinner, weddings, Valentine's Day or any day you want something special. They're so easy to make that if you can bake a cake from a mix, you can make this! 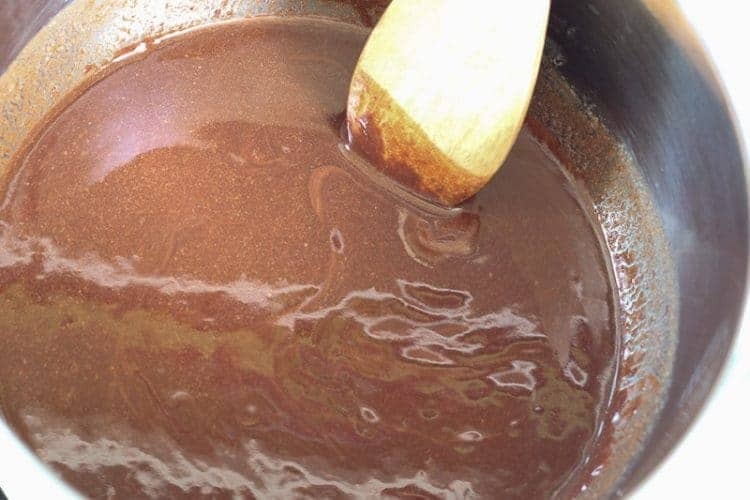 Melt the chocolate with the butter in the microwave at 15-second intervals stopping to stir and continuing in 15-second intervals until fully melted. 2. Stir in the sugar until well blended. 3. Whisk in eggs, egg yolks, and vanilla. 4. Stir in the flour. 5. Cover mixture and place in the refrigerator for about an hour. 6. Preheat oven to 425 degrees. 7. Grease muffin tins, custard cups, or mini bundt cake pans (that's what I used - link below). 8. Remove mixture from refrigerator and fill muffin tins (cups or mini bundt cake pans) two-thirds of the way full. 9. Bake until the centers are soft but the sides are firm approximately 10 to 13 minutes. 10. Remove from oven and gently remove from tins, you may need to use a knife to loosen the edges, and place on individual plates. Serve warm plain, with vanilla ice cream, or whipped cream and fresh fruit.